Easter is one of the biggest event for kids, and crafting own gift favors is the funnest thing they will do, too. Easter bunnies, chicks, carrots, eggs, all are perfect choice for us. 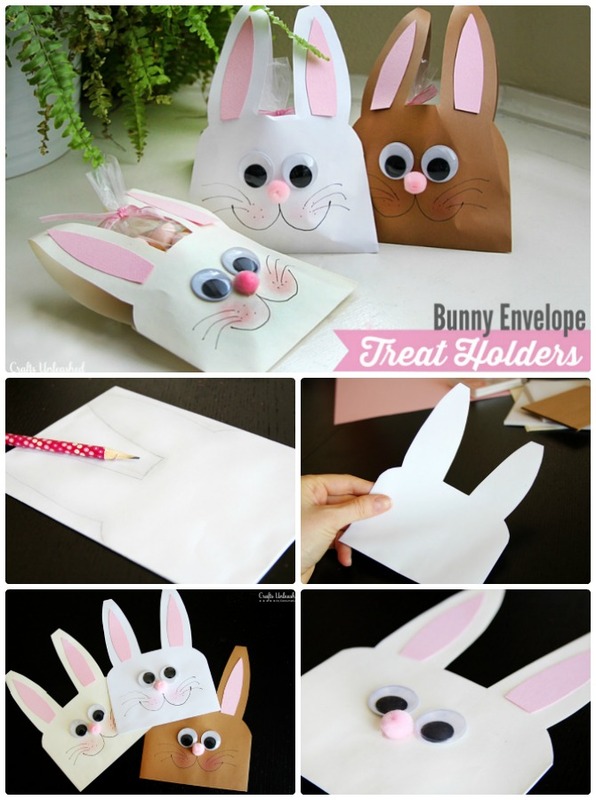 We are going to share the easiest craft ideas to DIY Easter bunny gift that even toddlers and preschooler can help making themselves. Use Lollipops directly by adding pipe ears, styrofoam head and wood feet as stand. 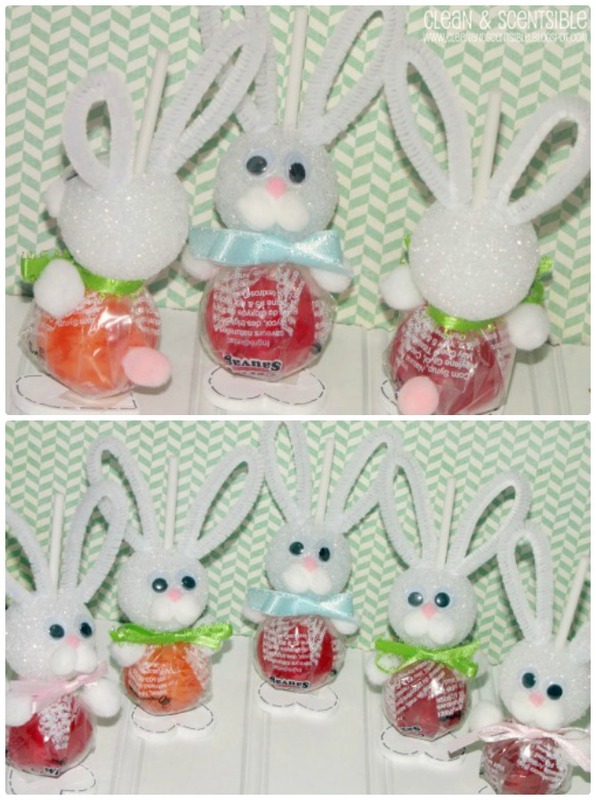 Fun for kids to glue these eyes and pom poms on these cute Easter Bunny suckers. 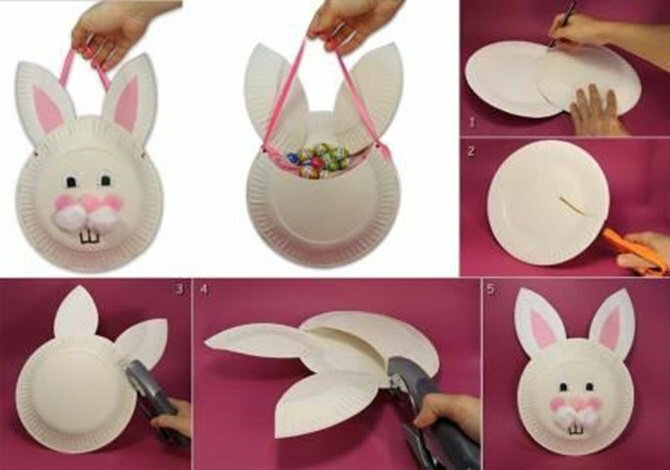 Use two paper plates to create a bunny basket holder but punching together and adding ears, ribbon handle. 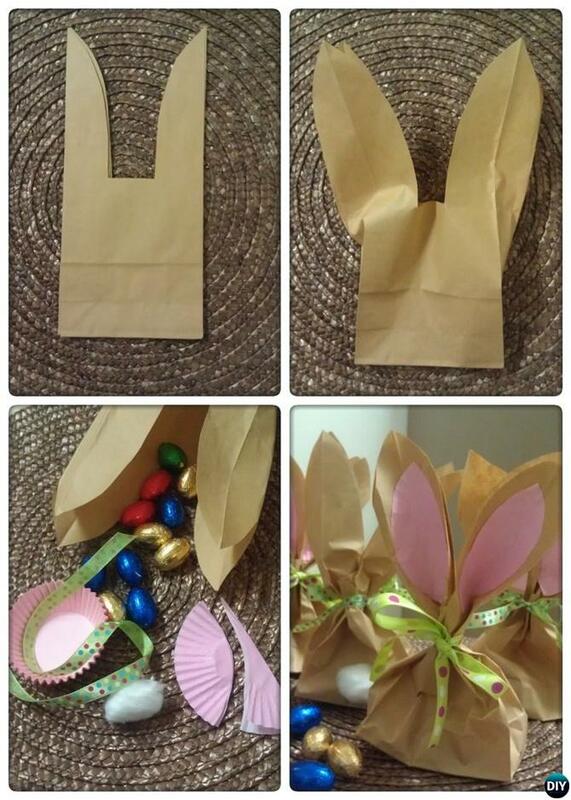 Cut paper bag directly into bunny and tie at the ears, the easiest gift favors kids can do, but may need help from parents to trace the line first. Be sure to supervise kids while cutting. 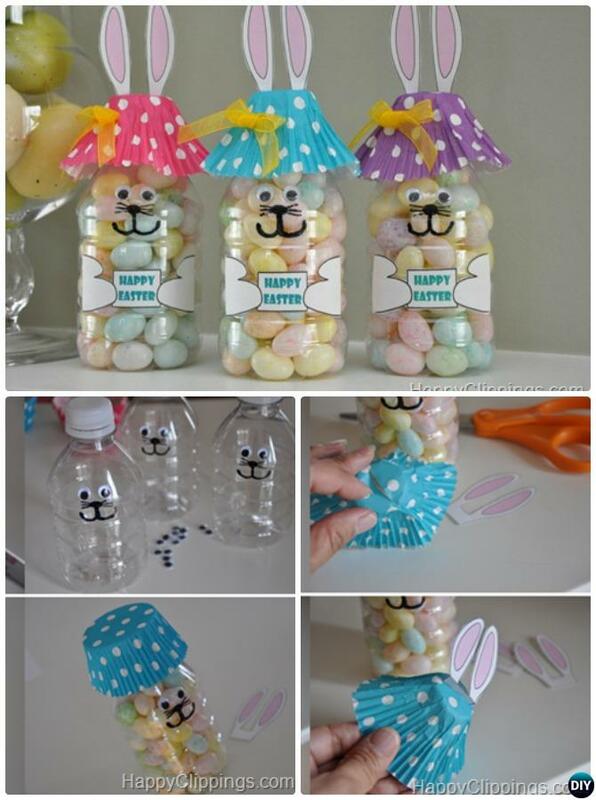 Recycle plastic bottles with Easter treats inside, cupcake liner and bunny ear for finish.